When the Temple Mount reopened to non-Muslim visitors, public perception in Israel slowly shifted. A growing minority of religious Israelis expressed a desire to reconnect with this preeminent place in their religion. In cafés from Tel Aviv to Jerusalem, Jews revisited the debates of 1967 and discussed topics that once were taboo. Is the TempleMount likely to be transferred to a new Palestinian state in final status negotiations? If the Temple Mount is the preeminent holy site for Jews, why are Israelis disenfranchised at the site? Since Israel captured the complex in 1967, shouldn’t the state exercise that sovereignty, rather than relinquish it? On July 14, 2017, three armed Israeli-Arabs approached the Lions’ Gate and opened fire on Israeli police, killing two officers and injuring two others. When it became clear that these terrorists received help from the Waqf in hiding their submachine guns on the Temple Mount, Israel installed metal detectors and security cameras on the TempleMount by the Muslim entrances. Previously, only non-Muslims were required to pass through metal detectors. The entire Muslim world convulsed over the new security measures and a week-long bloody standoff ensued. Israel’s security cabinet capitulated and the metal detectors were dismantled, so as to keep the Status Quo. Fast forward to the eve of April 2019 elections in Israel. The Waqf, the Islamic trust given charge of the Mount since 1967, is openly challenging Israel over the TempleMount in a brazen attempt to provoke another round of violence. Last week, Islamic officials unilaterally declared the area by the Golden Gate a new outdoor mosque, the fifth mosque on the Temple Mount. When Israeli police didn’t take their shoes off in the impromptu mosque, images of a uniformed Israeli desecrating the faux mosque were shared on social media. The shrill outcry prompted a fire-bomb attack on the Israeli police station on the Temple Mount. Do these actions comply with the Status Quo? My favorite science experiment as a child, since popularized on Youtube, involves a liter of Diet Coke and a roll of Mentos, flavored mints. Open the lid and drop in a tablet of Mentos. Seconds later a volcanic burst of carbonation will launch skyward. 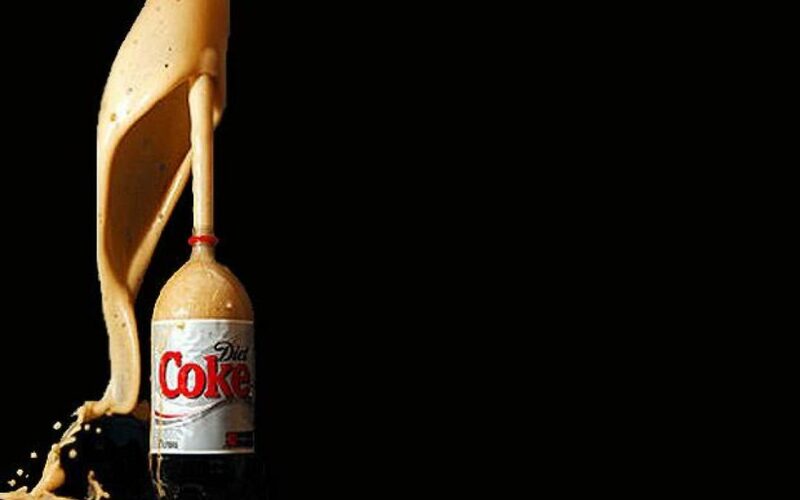 The experiment works without fail, as long as the Diet Coke bottle is freshly opened andMentos are on hand. The Temple Mount will always be a terrorist’s tool for chaos. It will always be the Mentos that Palestinian leaders drop into the bottle when no one is looking. Their chaotic version of the Status Quo involves organized harassment punctuated by calculated explosions.